OhMyVera! 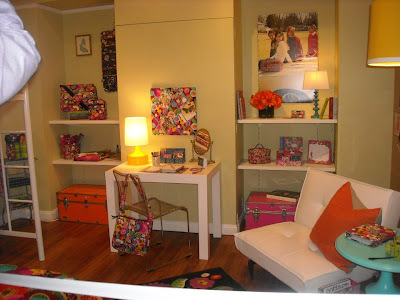 A blog about all things Vera Bradley: Vera Bradley Dorm Room Preview for Fall 2012! At the Vera Bradley experience last weekend they set up a dorm room preview in Va Va Bloom & Paisley Meets Plaid! 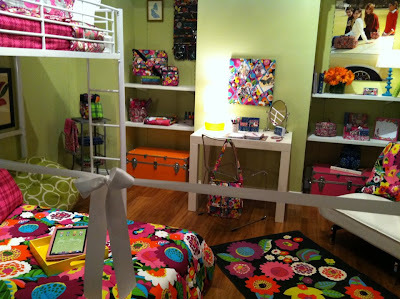 Check out the bedding, rug and new bags! Thank you to the ladies who shared their photos! Looks like the ribbon board is now square, and I believe that is the new Mailbag under the desk. I would have loved this dorm room! 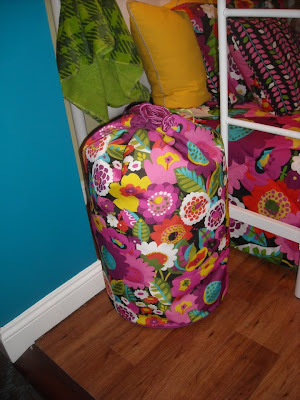 replacement for the Pleated Tote. 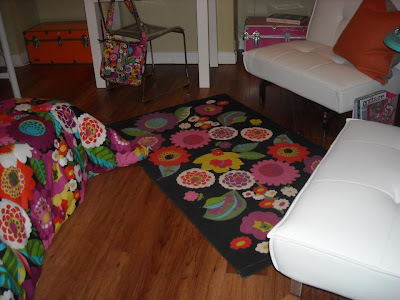 There is a closer shot of the rug and mailbag. looks fabulous! do you know when they will be releasing the new bag styles? Va Va Bloom, Indigo Pop and Paisley Meets Plaid come out on June 28th and the other 3 come out in August. Is Vera Bradley going to be selling the new bedding, rug, and new bags on June 28th and August too? I really hope they're going to be selling that bedding!! The fuzzy blanket was sooooooo soft. I snuck my little hand under the ribbon for a feel. One of the male employees came over and explained the whole thing to my mom and I. Funny thing he noted is that the orange chest had a boys name on it (John I think) and the pink chest had a girls name. And he cracked a joke how they apparently share a room and the bottom bunk must be his. I have a Kindle Touch, and it fits nicely in the e-read sleeve, even with the leather case with a light I have on it. Just enough extra room that you could probably put the charging cable in with it. 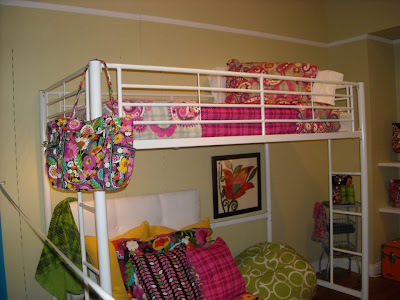 I would love sheets and blanket in Paisley Meets Plaid and Va Va Blooms. Does anyone know the approximate pricing of the bedding? I really like it, and I'm trying to figure out if it's the right price to ask for it as a birthday gift! I asked tonight at a boutique and they said the full/queen ones would run near $200. Will they be selling the bedding in Indigo Pop, I'd love to have a comforter in that color. I would love to decorate my master bedroom in one of the paisley patterns - it would look especially nice, I think with my Mission-style furniture. any idea if they're going to sell duvet covers? Cause I like my current bedspread but I really like this too. 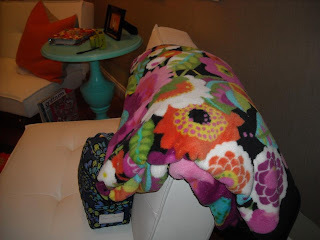 will the bedding be in some of the other patterns that are already out because i have a ribbon board and i would love to get bedding in the same pattern. Hopeing they will come out with winter 2012 patten ribbons in the comforter I might have to ask for it for Christmas :) can wait for it to come back to providence place mall ! 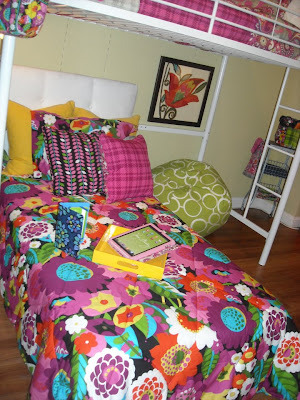 I would love to have the bedding.